Corrie lives with her husband and three active daughters in the ‘burbs of Atlanta where she spends a considerable amount of time playing a taxi driver and trying to stay cool in the heat. She has been scrapbooking since 2009 and has found that it provides her with a creative and artistic outlet that helps to keep her sane even in the chaotic craziness of life. Beside scrapbooking, Corrie enjoys photographing her kids, reading on the beach, looking at magazines, drinking coffee while watching a sunrise over the ocean, eating sushi with friends and encouraging kids to run faster and to score a goal. Corrie enjoys being on design teams and the challenge of having one set of supplies and making them her into her style. The best part of creating pages for Corrie is that it forces her to remember how amazing this life and world are, even when things aren’t happy and perfect. 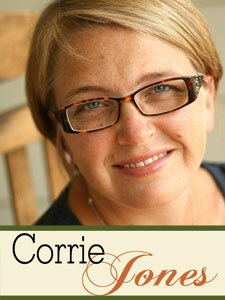 Corrie can be found hanging out on her blog, You, Me & Crazy.